Pause for a second and think of this question. How many unopened emails do you have right now in your inbox versus unread text messages on your phone? This is why so many brands are using Bulk Text and mobile marketing to connect with consumers instead. As consumers embrace the idea of getting texts from their favorite brands, adopting Bulk Text Marketing today as part of your marketing will be key to getting ahead, and staying ahead of the competition. 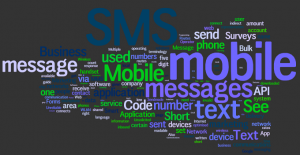 As I mentioned earlier, only 39% of companies have realized the power of SMS Marketing.